Roof lanterns can offer an elegant solution for increasing natural light into your Kent home. Lantern roofs can transform an existing flat roof or can be installed as part of a new build extension or orangery. We use the state of the art Stratus lantern roof from Synseal to ensure our usual high standards are maintained. These aluminium lanterns roofs will provide an abundance of natural light and the perception of increased space. An exquisite option for a variety of rooms in your property in Sittingbourne, Maidstone or throughout Kent. Available in White, Anthracite Grey or Satin Black. Roof lanterns are easy to fit and suggest a superior design standard that can elevate your entire home. The high performance stems from a thermally broken ridge and insulated bars which produce a thermal efficiency for your Kent property throughout the year, whatever the unpredictable British weather has to give. The glazing options minimise heat loss while reducing noise pollution as well as letting the more light into your home in Sittingbourne or Maidstone. When you choose a lantern roof from buy-right, you’re investing in a high quality product that has a contemporary and modern appeal. With many benefits they bring, the lantern roof can increase natural light into your Sittingbourne or Maidstone property without compromising on the privacy of your home. Your roof lanterns can be ordered in a variety of sizes to suit your requirements. Our lantern roofs can complement any type of property whether your home has period features or a contemporary style, we can create a product that’s perfect for you. Including a lantern roof into your Kent home can create a focal point in any room. Whether it is set in a dining room or seating area, or above a kitchen island, a lantern roof provides an aesthetic focal point that draws the eye and sets the ambience of a room. Our lantern roofs add a touch of luxury to any room where the whole family can gather, enhancing the features and transforming the look and feel of your Kent property. 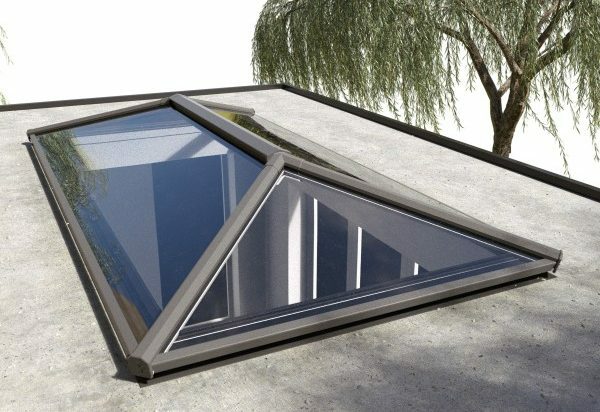 The aluminium roof lanterns that we install consist of extra thin aluminium frames which are strong and robust, allowing for an increased degree of natural sunlight. They are a beautiful addition to any room. The additional natural light offered by our lantern roofs gives the impression of more space and making your Sittingbourne or Maidstone home feel warmer and more inviting. Another benefit is a reduction for the need for artificial lighting, especially in the summer months, which helps to bring down your energy costs. Saturating your home with natural light increases the appeal of your property, making it feel spacious and airy while adding real value. Our aluminium roof lanterns are remarkable at delivering a high thermal performance which ensures the warmth is retained in your home throughout the cold weather. For the warmer summer months, we also offer modern solar control glazing that reflects sun rays. This feature prevents the ‘greenhouse effect’ in the summer months while providing a consistent comfort indoor climate throughout the year. The lantern features a thermal break that works to separate the inner and outer aluminium layers. This intelligent design traps pockets of warm air to create a thermal barrier, preventing cold transfer and increasing heat retention. Any home improvement project should add value to your property, and aluminium lantern roofs are no exception. 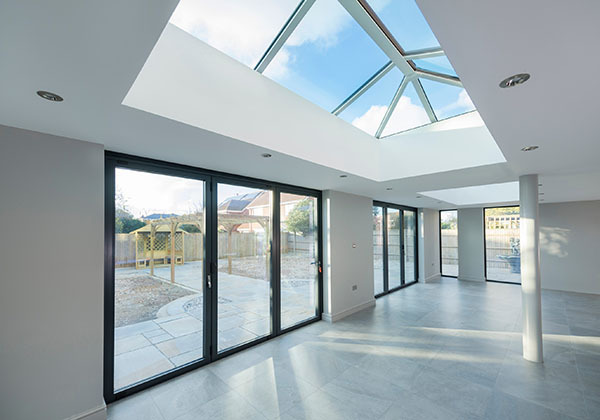 Roof lanterns can be added to any room in your home including your living room, dining area or any flat roof, creating a spacious and airy atmosphere to enhance your home. 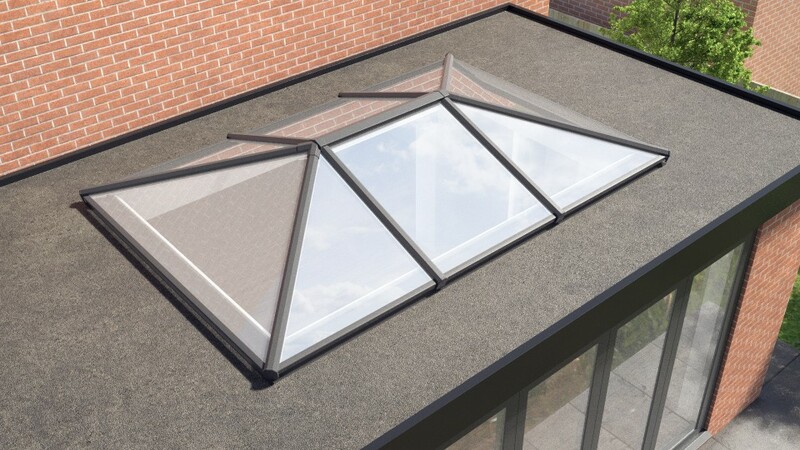 Roof lanterns can be inserted into an existing flat roof which means that there’s no need to undergo a full extension to reap the benefits that aluminium lantern roofs can offer. Simply transform your current roof to achieve an efficient and effective alteration. Enhancing your Kent home with a lantern roof will increase the value and kerb appeal of your property which is ideal should you be looking to sell your property in the near future. The aesthetic that a lantern roof brings to a property is particularly attractive to prospective buyers due to the list of features and benefits they provide. We pride ourselves on providing homeowners in Kent with quality home improvement products, professional installations, excellent customer service, all at competitive prices. Our professional team of installers has helped customer in Sittingbourne, Maidstone and throughout Kent. You can get an online quote in just a few moments with our easy to use quote engine below. Alternatively you can contact our friendly team today to get a quote for your new roof lantern. You can use our online contact form or call us on 01795 427 222.